All volunteers are asked to please meet between 10:10 and 10:20 a.m. at the community notice board closest to the Manor Drive entrance to the park, shown on this map. The activity will begin at 10:30 a.m., following instructions from the person in charge, about working safely with the tools supplied. 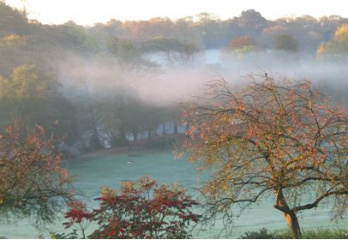 Gloves and safety vests will also be supplied and you are advised to dress according to the weather conditions and wear Wellington boots should it be wet or muddy underfoot. Volunteers under 16 year's of age should be accompanied by a responsible adult. 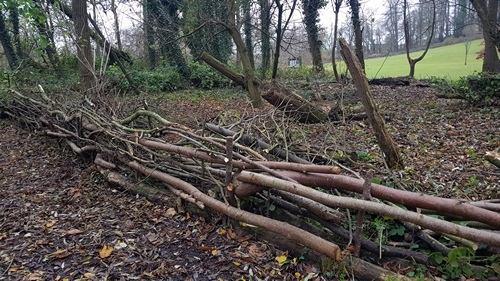 There is still a considerable amount of work to be done in the North Copse during the next 3-5 years as we transform it into a more pleasant and colourful area to the left of what is sure to become, in time, one of the most used entrances to the park. 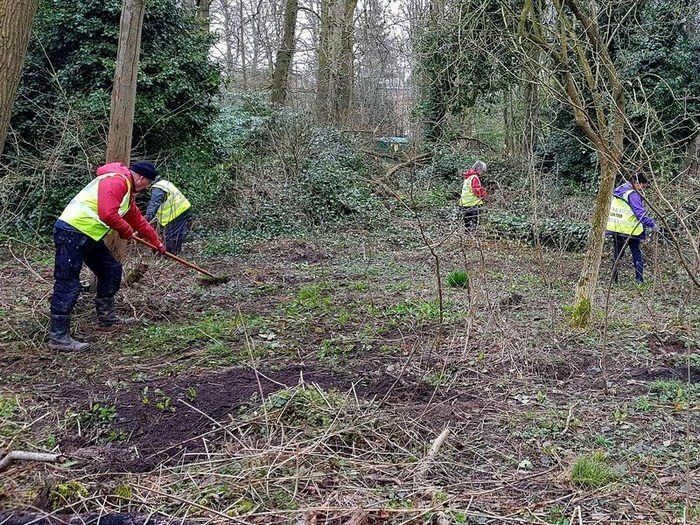 We are working to keep the undergrowth of ivy, nettles and brambles under control to give the woodland wildflower seeds and bulbs we plant a chance to grow and bloom. This work, to be successful, requires that the tree growth is also husbanded as we remove those that are leaning dangerously and plant trees with low to medium height canopies. We are also constructing a dead hedge to demarcate the edges of the path through the copse. 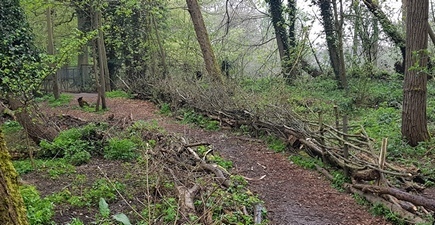 We will soon be restarting the work on the Swale to the right of the entrance too, hoping to have it fenced and populated with many species of indigenous wetland plants and flowers by the summer of 2020.